If you’re looking to build a website in a quick and easy manner, Site123 may be the solution! Site123 focuses on making your experience of getting online really simple. Regardless of whether you’ve never built a website before, you’ll still be able to build a professional looking site in a matter of a few hours. Website builders like Wix allow you to drag and drop elements to create a website. There’s no denying that this process is very simple, however, Site123 have taken simplicity one step further. Site123’s design assistance creates website templates that are customised to your exact needs. There’s absolutely no need for any technical intervention, making it a great choice for beginners. When you first sign up to Site123, you’ll be asked a few questions. These questions establish the type of website you want to build, and for what purpose. Once you’ve gone through the questions, a template will be created for you containing all of the features you desire on your website. Although Site123 may not be as complex as other website builders, it doesn’t fall short for me. Individuals and small businesses could really benefit from the timely creation of Site123’s websites. Speed and efficiency is most definitely at the forefront of their ideas, and for some, that’s all you really need! Site123 is super easy to use. Even from the sign up process; you can register your details by linking your social media accounts. There’s absolutely no need for any coding experience when you create a website with Site123. Setting your website up literally takes around 15 minutes, creating a template that’s fit for your purposes. Site123 doesn’t complicate things, in fact it makes things even easier than thought possible. As their own website states, you can launch your website or business within 3 simple steps. All you need to do is select the type of website you want to build and upload your own content to it. You can then publish your website which will go live in the space of an hour. Making things even easier, all of Site123’s templates are mobile friendly and responsive. This means that your website will look great on any device! When 94% of people judge a website by it’s mobile responsiveness, this is definitely a good feature to have! What’s more, you can optimise your website’s SEO to ensure that your site appears on search engine results. The more traffic driven to your website, the better your business will do! Although Site123 is a simple website builder, it boats many features. There’s absolutely no reason to shun the simplicity of this website builder. Just check out what they have to offer (remember, this service is free)! Dashboard: The dashboard is (as expected) very easy to access and get the hang of. You will have an overall view of all the websites you’ve created, allowing you to edit or delete them. You can easily add more websites to your collection, create domain names, and check your balance (we’ll come to that shortly). If your website is set up for them, you can also read messages and comments from blogs and newsletters. It’s great having everything all in one place. eCommerce: It’s entirely possible to create a fully functioning eCommerce website with Site123. Their advanced eCommerce features make this process really easy, whilst keeping everything very professional. 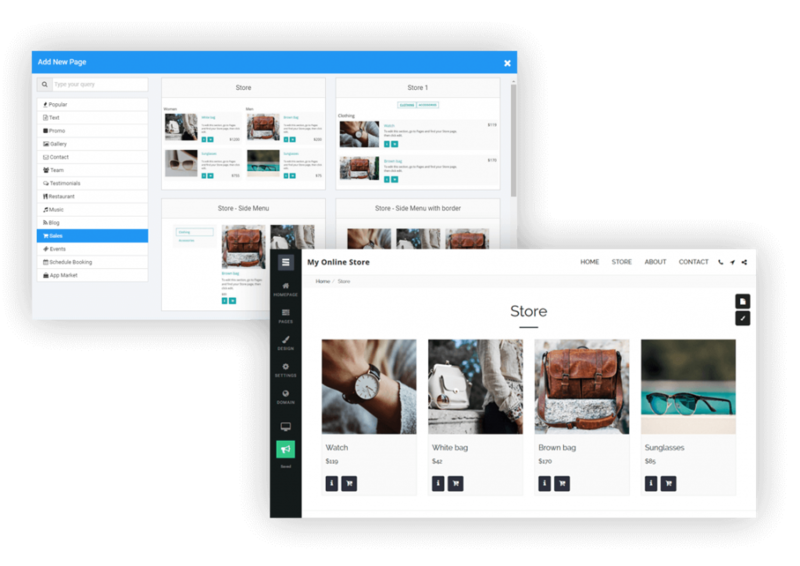 Once you’ve created your online store, you can manage your products and orders in one place. If you want to customise your online store to fit in with your ideal look, this is of course easy to do as well! You can edit your shopping cart, currency options, design, and more. Site123 integrates flawlessly with PayPal, one of the most popular payment methods on the internet. Blog: Lots of websites now make use of a blog. It allows users and customers to interact with you, to share their thoughts and experiences, and potentially increase traffic and revenue. Blogs with Site123 can include your content, posts, videos, photos, and more. You can specify the type of topic you wish to write about which will tailor your blog to your purposes. As I’m sure you can expect by now, creating a blog with Site123 is very easy and can be done within a matter of minutes. SSL: When you register with Site123 and build a website, you’ll be entitled to a free SSL certificate. This ensures that your website is securely encrypted, allowing you to maintain a high level of protection. This is also a great sign for your customers (if you run an online store). Some websites charge upwards of £80 for these licences, but Site123 includes it absolutely free. Email: To maintain a level of professionalism, you’ll have your own email account. Rather than some website builders who require you to have their website name within your email address, yours will look something like email@websitename.com – best of all, this comes at no extra cost! 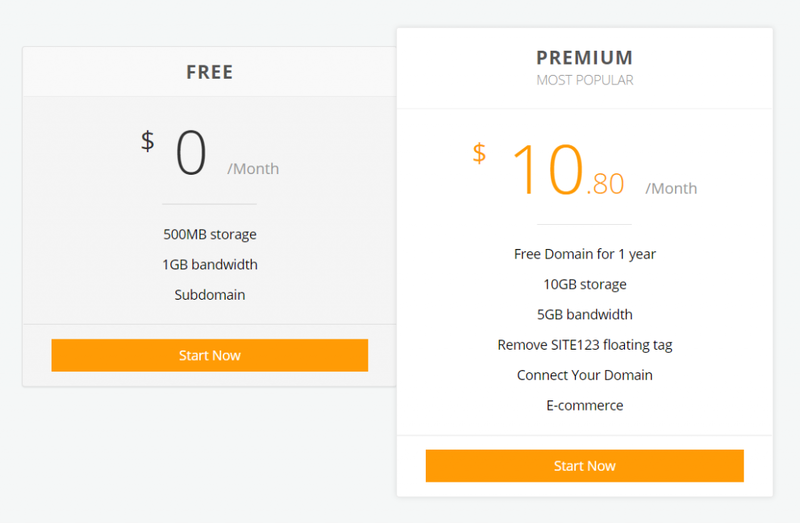 If you like what Site123 offers and you want to upgrade your plan, their full pricing plan is just $10.80 per month. You’ll get a free domain that you can connect to your website, making it look professional. Storage increases to 10GB which should be comfortable enough for any website or small online store. Speaking of online stores, their premium plan opens up the option to use their eCommerce features which I’ve mentioned above in the features section. Site123’s website builder is great for a lot of users. Whether you’re looking to create a personal website, blog, or online store. The benefits here are that things really are so simple. You don’t need an ounce of coding experience, as the intuitive designer does all the hard work for you. This allows you to focus on the content of your website, without needing to manage the nitty gritty. If you want to expand your set of features, their premium plan allows the use of plugins. You can use these to your advantage in order to create a professional looking site that can work to your needs. This makes it pretty versatile, so if you are experienced, you’ll probably enjoy this more than the software doing it for you. In terms of price, Site123 offer a free plan. Free plans, in my opinion, are a great starting point. 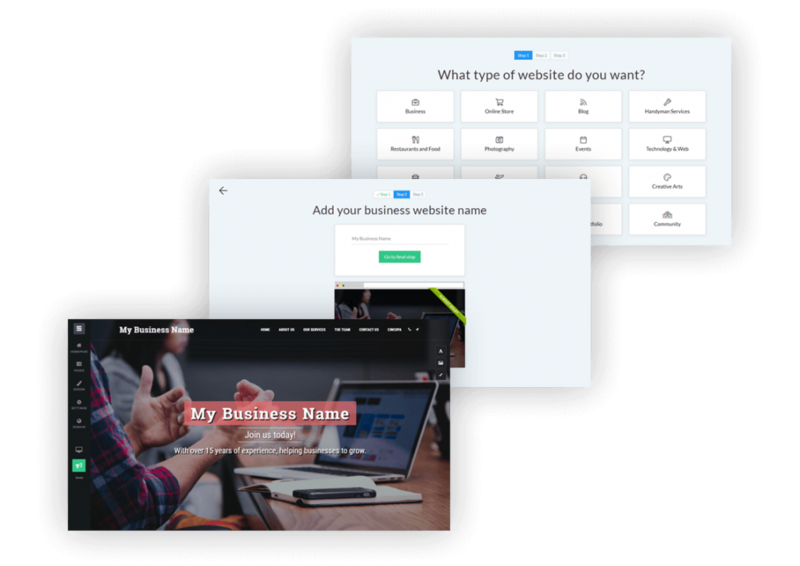 It gives you a feel of the website builder and allows you to decide whether you’d want to pay for more features and accessibility. Granted, you may get more storage and bandwidth from other website builders at a cheaper price, but you’re paying for complete ease of use here. Site123’s templates are professional and have a nice modern feel. You won’t need to worry about creating a separate mobile site, because all their templates are responsive. With the amount of people accessing websites via mobile or smart devices, this is an absolute must have feature.